When it comes to improving your reading ability and vocabulary, there is no shortcut. To be a better reader, you have to read and you have to read often. So often we hear from students who have a month left before their test and are looking for quick ways to improve their Verbal score. Sadly, there is not a whole lot that can be done in a month besides rote memorization, which we know is not very effective. Only sustained reading over a long period of time will bring the gains that students need for success. It is for these reasons that we recommend improving your reading ability even before you begin preparations for the test. I always tell my students that they need to allocate at least six months to improving their reading. I tell them to read actively, read often, read material that mimics that of the test, and read about subjects that are unfamiliar and uncomfortable. But where to begin? What counts as decent reading material? We have offered advice on news sources to read when students want to improve their vocabulary or reading ability. But trying to find something worth reading in The New York Times of The Atlantic Monthly can be overwhelming. Students still struggle with making a choice of what to read. So we are launching a series on authors and journalists that we enjoy reading and think students would enjoy too. What follows is a list of journalists and academics that I enjoy reading. This is just a small sampling of people from The New York Times who have thoughtful and insightful articles on contemporary issues—issues that you might find on the test. I tried my best to give a little bio for each person, a link to a compliation of their writing, and a few choice articles to begin with. Ultimately, you should find your own favorite columnists and writers to read. Don’t just rely on what I have to say. Ask others. Read authors that write about subjects you know and subjects you don’t know. Expand your literary horizons. I have two prescriptions, though, for choosing a journalist or author to read: make sure they have a wide readership and have been recognized by their peers for excellence in their field. These are two strong metrics for quality writers. Note: At the time of writing, The New York Times only allows users to read 10 articles per month. Update: Please read the second comment from Muntasim Ul Haque. He provides some useful tips for avoiding the monthly limit. Steven Pinker is an experimental psychologist, cognitive scientist, and linguist at Harvard University. He is one of the more popular and widely-read academics of our time. He often writes opinion pieces for The NYTimes. He’s also a regular speaker at TED. Mark Bittman is a food writer for at The Times. He focuses on simple, delicious meals and has written a popular cookbook, How to Cook Everything. 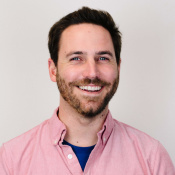 In addition to writing recipes, he contributes opinion pieces about the environment, the food industry, and the politics of food. He also gave a TED Talk. Errol Morris is an Academy-Award-winning documentary filmmaker who writes opinion editorials. He focuses much of his writing on the nature of truth, knowing, and deception. He is a deeply thoughtful person writing about culture, film, photography, history, and anything else that captures his attention. Paul Krugman is a Professor at Princeton, contributor to The New York Times, and winner of the Nobel in Economics. He is a regular columnist, publishing articles every Monday and Friday. David Brooks is an author and columnist for The New York Times. His topics range from politics to popular culture. He has also given a compelling TED Talk. His articles come out every Tuesday and Friday. Thomas L. Friedman won the Pulitzer Prize three times while at The New York Times. He is an insightful and powerfully intelligent commentator on international affairs, politics, and economics. His column is released every Sunday and Wednesday. This list is far from comprehensive and fairly subjective. These are the people I like to read and won’t necessarily resonate with you. So begin here, but search out people that inspire you and challenge you. I just wanted to improve my reading/writing/speaking skills and came across this great page. Just open these links in incognito mode and there will be no limits how many articles you can read. Thank you! This is amazing information. I often spend time looking for on what to read, but these topics are awesome. If you can continue sharing authors, that’d be amazing. Hello I got a 145 verbal and 147 on quant and I really need to improve both scores. I noticed it’s very difficult for me to memorize words and definitions , so during the verbal sentence questions I was really struggling with defining words. Can u give me advice on how to remember a words meaning ? Also can you give me advice on how to find the tone / purpose of passages ? My quant score wasn’t as high as I expected .. Does that mean I just need to practice more math problems ? 1. Why you missed the question? 2. Why your answer is wrong? 3. Why the correct answer is correct? 4. What will you do to avoid this next time around? You can maintain an error log for both sections of the exam. Make sure to return to it often to help you keep track of difficult concepts and also common errors you make, which will help you prepare even better for test day! I have given GRE exam recently and got a score of 305(verbal-145,quant-160). I want to improve my verbal score ( from 145 to 155) and quant score (from 160 to 165).I am having problem in reading comprehension. i am finding it difficult in understanding them and i am wasting my time on a single question hovering on different options.can you help me to improve my skills in reading comprehension? Previously i have done some of the questions of TC and SE in manhattan 5lb book.I also want to improve my score in SE and in TC. For some specific articles suggestions, I’d recommend browsing through our “GRE Article of the Month” series. About once a month, Chris selects an GRE-level article and provides both GRE vocabulary for you to focus on as you read, as well as a brief discussion of the piece. Reading Vocabulary in Context: Where Should I Start? Truly, reading is the BEST way to improve your reading comprehension skills, I promise! 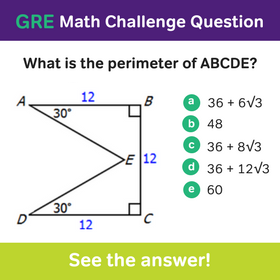 In terms of improving your speed on GRE RC passages, I’d recommend first practicing without the timer–slow down, and try to truly understand the passage. You might think that time is lost when you read the passage too carefully, but in reality most time is wasted on questions that you don’t know the answer to because you read the passage too quickly. So step one, slow down, take notes on the passage, practice without the timer. Practice using all of the strategies you have learned, and don’t pay attention to the clock. Next, once you feel your accuracy is improving on RC questions, start using the timer again. The more confident you become in your reading skills, the faster you will be able to answer questions. Text completion (TC) questions can be difficult and hard to understand, clearly! Fortunately, we have some great resources to help you understand what to do. On top of knowing vocabulary words, you need to be able to read a passage and decipher its meaning. Part of improving will be based on learning new words and part of improving will be based on learning about signal words in English that tell you about the relationship of ideas. Words like “because” or “however” or “more than” tell you about the relationship of ideas in a sentence and these are crucial to choosing the correct word to fill-in a blank. You want to make sure that you read passages that are similar to the ones you will find on the GRE. Some of the best places to look for good articles and writing are at The New York Times and The New Yorker. The style, tone, and level of writing will be very similar to what you will see on the test, so make it a point to read these news sources—and/or others of their caliber—everyday. Hi! i am planning to apply for ms in us. I have given GRE and scored 305 and plan to write TOEFL in the month of august. 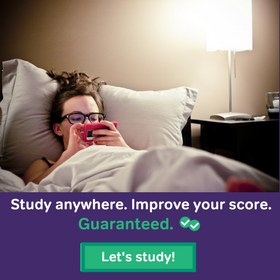 Can you help me about how much score should i score in TOEFL to get in a good university? And how should i start preparing for TOEFL exam? (i mean like on which areas should i focus(i am from India ,and my mother tongue is not English)) i plan to write GRE again by the end of September. If i send my applications for ms in the month of October , will there be any chance of funding (if any), or will the funding options be reduced as i have sent applications in the month of October?Please help me in these areas. Well, before you think too much about your TOEFL score, it’s important to remember that GRe Verbal score requirements and math score requirements are separate in the eyes of admissions offices. As a result, admissions offices may actually set separate score requirements for GRE Quants and GRE and Verbal. You can check out one of our other blog posts for a look at some of the expectations top schools have for these two sections of the GRE. Minimum TOEFL scores can also vary from school to school. Some top schools will start accepting you once your TOEFL iBT score is above 80. But to maximize your chances with top schools, aim for a TOEFL score of more than 90, or even more than 100. The higher you go over 80, the more schools you’ll be able to choose from. So I understand that those are good recommendations on what to start with for the New York Times, but I also was wondering does the Facebook page for New York Times work also? Because they post articles frequently and some of them are pretty interesting, so is it okay to read these also as a way to improve my verbal, since sometimes I’m out and I have my phone with me so I could just open my phone and go to the Facebook page. In addition, I am learning vocabulary from the Magoosh flashcards also. I’m mainly focusing on verbal since it is my weaker area. Do you think this is a good plan? I’m taking the GRE around the beginning of September and I’m hoping these strategies, the strategies I’m learning for Reading Comprehension, etc, and doing a bunch of practice problems will help me prepare in time. I did a diagnostic test at the Princeton Review Site and I got 150 Verbal, so I’m hoping in these next 2 1/2 months, my goal is to get at least 157. Do you think this goal is tangible? I am writing GRE this summer. I was wondering if you could suggest a good classic novel, with good vocabulary (preferably British) that I can read in my spare time to improve my overall verbal skills? As far as a book that I like and would recommend, here are three: The Grapes of Wrath by John Steinbeck, Zen and the Art of Motorcycle Maintenance by Robert Pirsig, or Angle of Repose by Wallace Stegner. I hope that helps! Happy Studying! The endless vocab list in my Barron’s book is intimidating, so I started writing down and reviewing all the words I didn’t know from the articles and looking them up on wordnik. I read one verbal section a day, too, figuring out my mistakes and jotting down additional vocab words. Would reviewing a giant vocab list be better? I have mostly four hours a day for the next three months and might be able to spare an hour a day during the school year to practice GRE verbal. I’ll take the GRE next summer. It’s a great question, too, whether you should be reviewing a giant vocabulary list, like Barron’s. This is going to depend on each person and their own level of vocabulary. What you need to remember is that the GRE can include many, many other words than what is in a list (or any list) of GRE vocabulary, which is why reading extensively is VERY important no matter what level your vocabulary is at. 🙂 Just try not to think of the GRE as a simple vocabulary test. There’s no specific number of words you have to learn in order to reach a specific score. 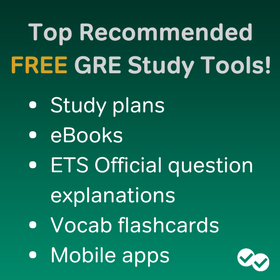 In part, the GRE tests English vocabulary in general, not just “GRE words,” and even then, there’s more involved! Thank you so much for the list of articles. I’ve been struggling with my verbal score for three months and was trying to figure out what I else I can do to improve my score. I’m definitely give this a try. Thanks a bunch magoosh staff! Glad we were able to help out, David! 😀 Good luck with your prep! Hope you can dominate the test! Kudos for your helpful topic; are there any music critics in The New York Times or any other places in the net in which I can find album reviews enriched with GRE vocabs? I am not sure whether music magazines are that helpful to learn that many GRE quality words or not. I appreciate if you introduce something to me, since music is as important as food I guess. I love music and it would be lots of fun for me to learn this way. Below are four music review sites. The writing is high-brow and filled with GRE words. To give a better sense of all of this, I attached reviews of the latest Grouper album (disclaimer: I have no idea who Grouper is). Thanks for the authors list for reading however I don’t find the tip to over come 10 articles per month limit. Where do I find it? Hey, how to come over the ten articles per month of new York times? Hi Swapnil, this is discussed in another comment. 😀 Look at the comment by Muntasim Ul Haque. He describes how to avoid the usage limits. Happy Studying! I have started reading from New York times and new yorker but after their required limit when i try to open article through twitter , the same message appears as you dont have limit. So what to do in that case? I took the PowerPrep test and I noticed a few of the Text completion questions had sarcastic undertones. An answer chosen purely based on the wordings of the sentence is very different to the correct answer that relies majorly on sarcasm. I caught onto the nature of the text but I worry that I might now start to over-analyse all the sentences, especially the triple bank ones. As for catching sarcasm in writing, you will have to pay attention to the tone of the author in the passage. Often we will see shifters in the sentence, such as “ironically” or “surprisingly.” But this won’t always be the case. You will need to rely on your extensive reading. The best way to spot sarcasm is by reading as much as you can/ You need to be out there reading articles and editorials, so that you can sense the author’s tone and know if he or she is being serious or sarcastic. Hi Kevin, I am in great dilemma, I’m not able to increase my Verbal score. I have tried Magoosh videos,Manhattan’s RC,SC books and I’m thorough with Norman Lewis also, still I’m not able to increase my verbal score(Magoosh Prediction 141-146). I have mugged up around 3000 GRE words and have been reading good articles also, still I am lacking somewhere.Please advice me on how to approach Verbal as I’m having my exam in next 15 days. Will doing grammar at this point will help me or not,because that’s the only thing I didn’t touched up till now. Do you think it is better that we read passages of LSAT,GMAT, GRE or articles of New York Time? Thanks a lot. I have 7 months for preparing the GRE. Do you think I should spend 4 months just for reading the articles and after that I should read the passages of GRE, GMAT and LSAT or I can diversify these two sources? I mean first I should concentrate on official guides and along with them read articles. When we read passages of big book for example we can consider to them as one article and then try to answer the questions and analyse the wrong/right answers. Also, spend 1-2 hours for articles.Please help me. Hi Reza! I think you are in a good place! From this day forth, I would make a point of reading articles in those news sources a few times a week. Every day would be excellent, but even every other day is fine. And you don’t have to spend hours reading through multiple articles. In the beginning, choose one and really focus on it. Figure out the tone and opinion being stated. Understand the structure. And as time goes on, you can read two articles at a time. Don’t think of this as necessarily test prep. This is enrichment. You are learning about contemporary issues and becoming a stronger reader. These skills will translate into test prep when it comes time to dive into materials. 1.Every day one or two sections of Big book(for RC and TC) and 1-2 critical reasoning of GMAT and 5-10 questions of GMAT(Then Nova). Note. I spend 2-3 hours for reviewing the word lists and 1-2 hours for articles. And I am advanced math. So, I can get prefect score at math. 1.How can I identify my level? 2. Do you think I should study big book at first or Magoosh/Manhattan? I think big book is better because it is related to old version and has much more/difficult passages. 3.What is your idea about my plan and what is your advice? Some things I am unsure of: Is that numbered list something that you will do each day or only on a single day? Also, you should plan to take a break every hour for at least 10 minutes. Also, I would encourage you to NOT study 8 hours a day. Not only is this not sustainable for many months, but it is also not the most effective way to learn. Spend a couple hours a day studying over a long period of time. This will be more beneficial. Thanks a lot. I studied the 1100 and 800 of Barron’s, Word smart and 500 words that I extracted from 3500. I entered all of them into Babylon and copied the examples/definitions of Webster/Longman into Anki.So, I just should review them and add new words from articles/passages or tests. My verbal score is around 140-145. Do you think for achieving to 160 or above studying 2 hours is enough for 7 months. Thank you so much. I never forget your help. Actually, I don’t study just the definition of words. I read at least one or two sentences from dictionary and when I read the words read those examples like your flash cards. Finally based on your guide I notice that I should read a lot before the test Just for two or three hours. So I divide my time into three parts:1.review the my prepared word lists(with their examples)2.Practice(consists on RC, CR and Math) 3read articles(based on your method).Do you think this is goo plane and I should add some SE/TC in the practice section? By the way, these days In Iran is the Noruz and after one week I’ll start my plan. I wish the best for you an your team. Searching for the best article ,is time consuming. You saved my precious time. Thought this would be good to know: NYT’s Twitter links can be used for reading unlimited articles on their site. Google links do the same for that purpose. If you know the headline of that article, just Google for that and click the link that appears in NYT website. This way and also following NYT’s Twitter and Facebook you can read unlimited articles. Glad to help. I’m following Magoosh from the very beginning of my GRE preparation. I’m following Magoosh and Manhattan, as suggested by Magoosh blog. My preparation is going on and would sit for the GRE in five to six months. Keep me in your prayer.